From China. Model Collect originally marketed pre-built models but is now producing models in kit form and have started a line of decals. UA72002 Russian Army T-90 main battle tank See comments for kit 72001 above. UA72003 Russian Army TOS-1A Rocket Launchers Mutlimedia. Lower hull is diecast metal. Rest of the kit is in plastic. 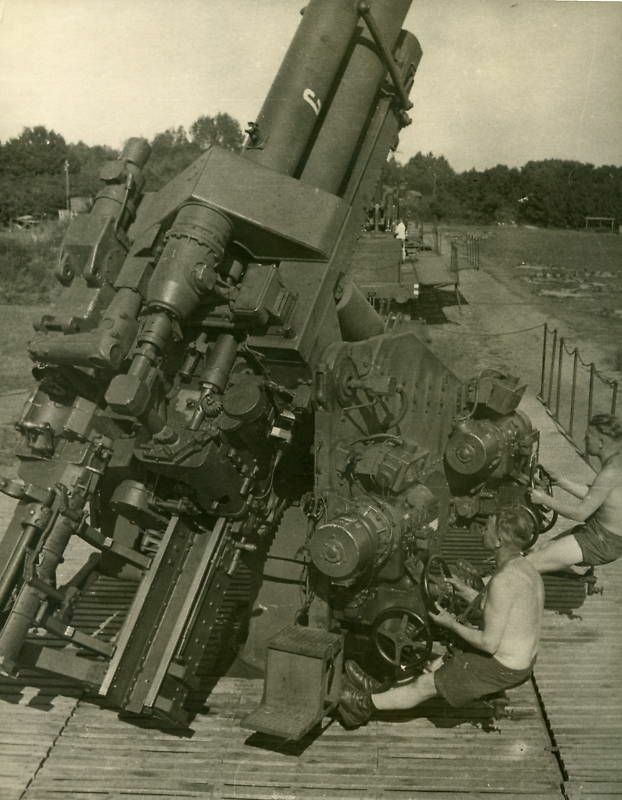 130mm coastal defense gun A-222 "Bereg"
UA72084 M1001 MAN with Pershing ? 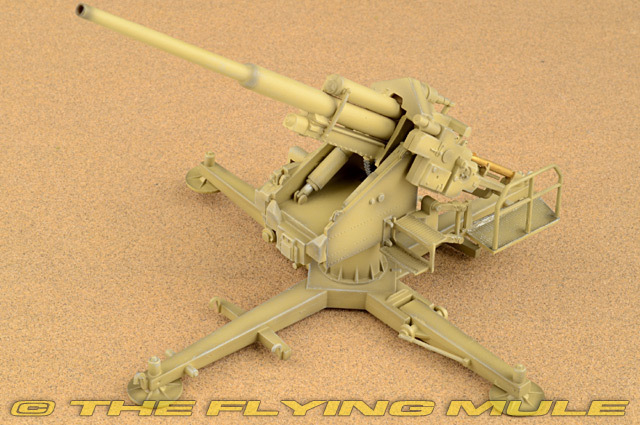 UA72094 12.8cm Flak 40 ModelCollect appears to have cheated and made the cruciform base based on that of the 10.5 cm Flak 38 instead of the 12.8 cm Flak 40. 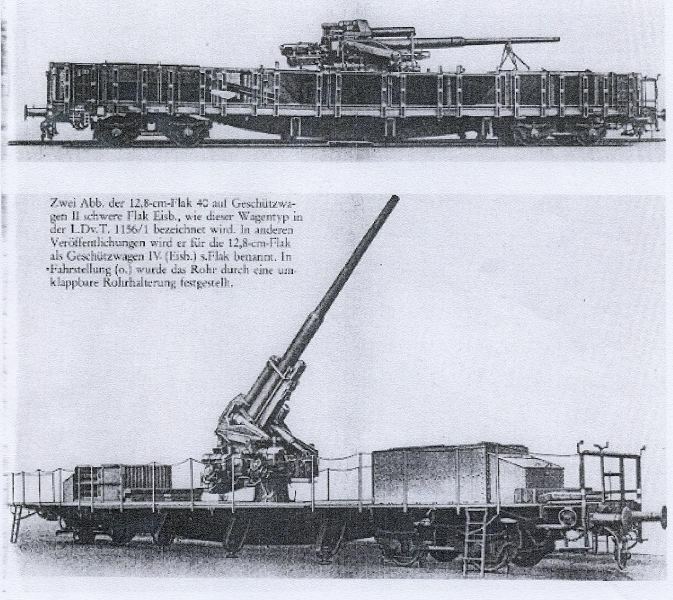 Here is the 12.8 cm Flak. 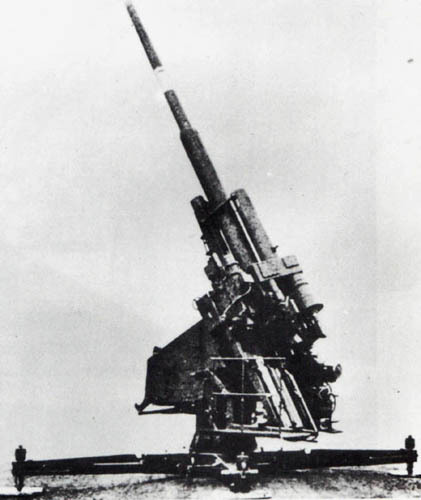 Here is the 10.5 cm Flak. 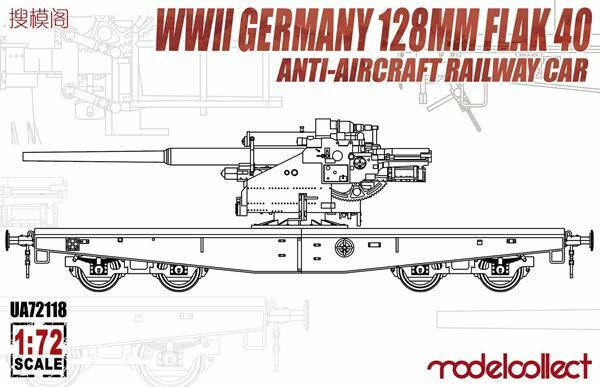 Here is a picture of the ready-made model (built from the ModelCollect kit). 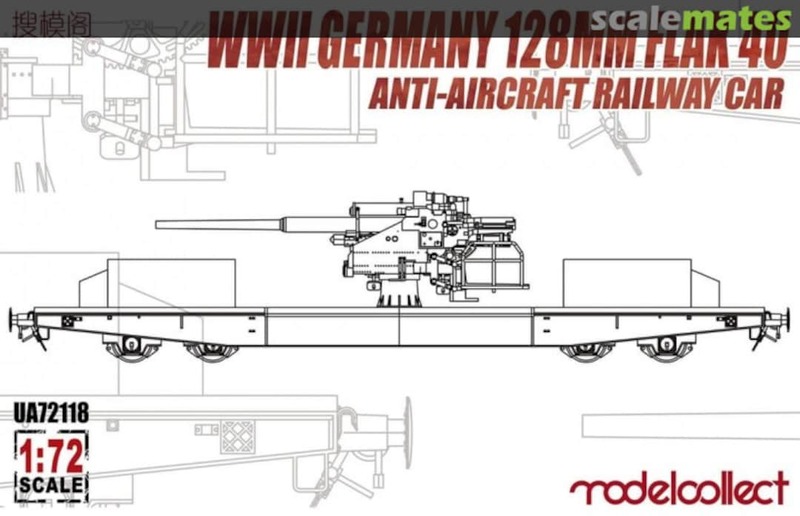 UA72118 12,8cm Flak 40 Auf Schwere Plattformwagen Type SSys 50 I am not all that familiar with train cars with mounted flak, but even I could see that the model kit looks nothing like reality. Here and here are pictures of real train cars. There are structure at the ends of the cars that are not represented in the kit. In addition, the kit lacks the platform extensions needed for the crew to stand on when the gun rotates. Note, by the way, that ModelCollect appeared to have created two box cover graphics for the kit: this one and this one. The second graphics look more like the real thing. But available materials from Supermodel suggests that the kit contents are consistent with the first graphic. UA72139 E-75 Ausf.Vierfubler "Einauge" & "Janus"